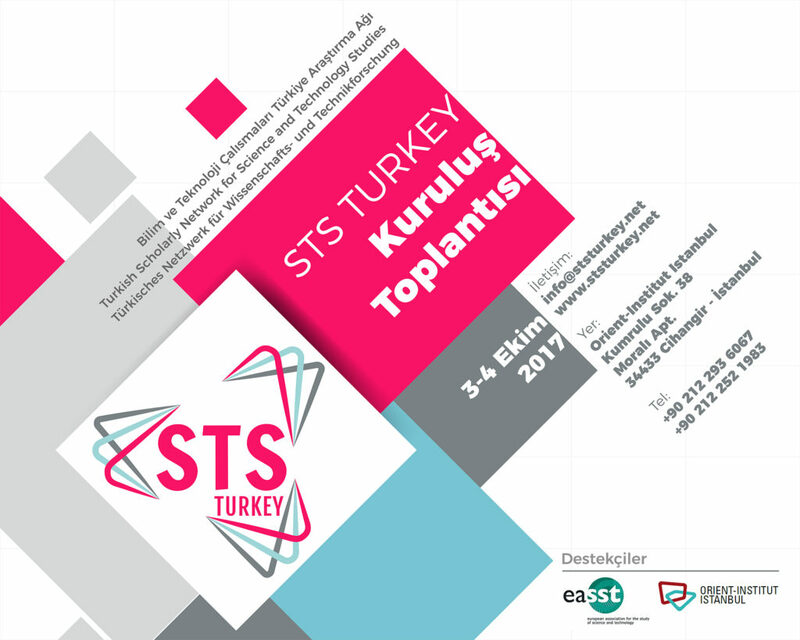 We are very proud to announce the founding meeting of STS TURKEY, October 3–4, 2017 taking place at the Orient-Institut Istanbul (Turkey), supported by the European Association for the Study of Science and Technology (EASST) and Orient-Institut Istanbul. October, 4: 10:00 – 12:30, 19:00 with lectures on Human Enhancement. For detailed information: STS TURKEY founding meeting program (tr). Participants are requested to register until September 25, 2017. There is no registration fee. Kumrulu Sok. 38, Moralı Apt. Şahinol, M., Aydınoğlu, A., & Kaygan, H. (2018). STS (in) Turkey as Extitution. EASST Review, 37(1).